My daughter and I simply love them. The ladies of the front office are the sweetest. CarrieAnn was awesome and put us at ease and we laughed alot. Dr. Yu was so nice and pleasant. They were both very thorough. This office makes going to the dentist a joy. I have been going here since i was little. Good service and a great staff! Shout to my hygenist Margie! Shes a great hygenist and is always a joy to see every visit! Always excellent service. I have been going to Riley Dental for many years and Dr. Shimizu is awesome! Very gentle and careful care. The Staff is great! This was my first time visiting this office. My previous dentist retired and referred me to the Riley Dental Group. I had a pleasant experience, the staff and Dr. was pleasant and courteous. I don't have issues with going to the dentist, like some people do, so after some paperwork my exam went well and pretty quick. I had some X-rays done and talked to the dentist and will be back for my cleaning. I thought I could find a Dentist as gentle and high quality as Dr. Shimizu but I have not. He is the only doctor I trust with my teeth. Dr. Riley is wonderful with my 4 year old son; and his office staff is always welcoming and friendly! First impressions are everything, and I was definitely impressed after my first visit. I realized then that I hadn't had a pleasant experience at the dentist in my life! The folks at Riley set the bar high. They are accommodating, friendly, and professional. Their work-spaces are clean and organized. Most importantly, they perform quality work. Brenda was fantastic! I'm very happy with the service I've received. I love going to Riley dental group,their office is very clean , Lynn my hygienist is excellent. The front desk has excellent customer service my number one rep. Is. Carol. Dr Riley is the best dentist I have ever met. He really knows his profession which leaves me without a doubt that whatever work I have done will not only be done right, but also without pain. His dental assistant is the sweetest person I've ever met. They are both very caring and really care about there patients. I have been going to Riley Dental Group for nearly 20 years.. Dr. Mark Shimizu is a professional and a perfectionist with all of his work. He is very personable and I trust his dental opinion. The dental assistants and hygienists are also all quite efficient and wonderful!! Another important item, the dental office is very clean and tidy. I highly recommend Riley Dental Group!! I'm from lancaster, I was looking for a dentist on my insurance plan. I tried the dentists in Lancaster, let's just say for various reasons I was not impressed. Riley Dental is very professional and very competinent. Unlike the dentist offices in Lancaster -- Riley does not try to "pad" their bill and collect more from me, when my dental insurance has fully covered the procedure. It is worth the trip to Riley. My husband has been going here for years. I've recently returned after my dentist retired. Their customer service is excellent and they are very accommodating. I am a new client and had an emergency when old bonding on my front teeth chipped off days before a company tradeshow! Eeek! My husband has been coming here for years (and is extremely satisfied after each visit) and as I am now on the same insurance plan, I gave them a call to see when I could schedule to come in to get my teeth fixed. They were able to get me in the next day! Woo-Hoo!!! I was seen by Dr. Patricia Huh. Let me just say I am BEYOND happy with the results! She redid the bonding on both of my front teeth and now that I'm home and checking it out it's even better than when it was done over 10 years ago! 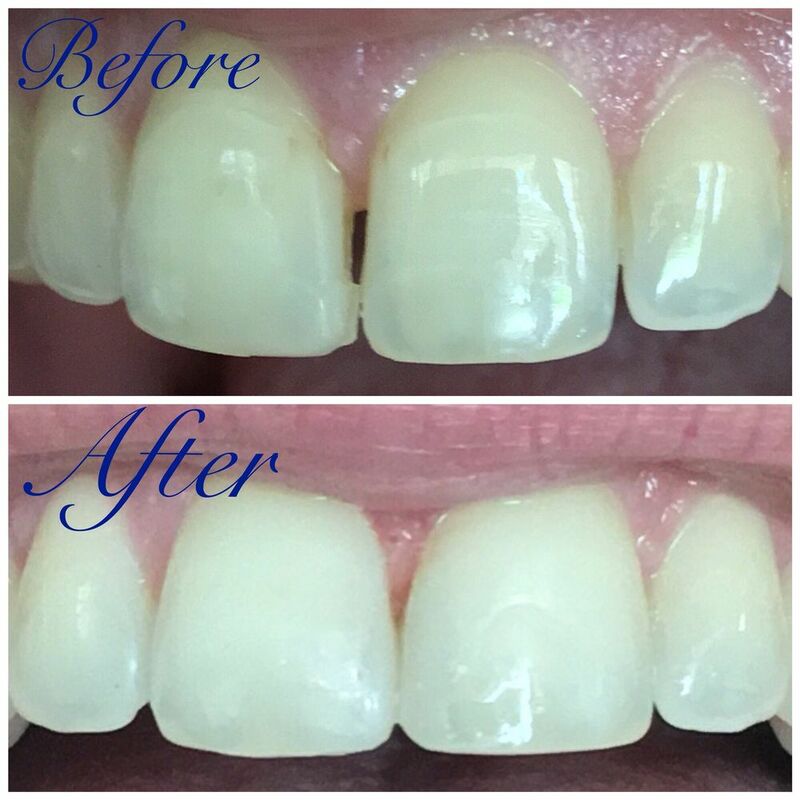 The back of my teeth are more comfortable than previously, as she took great care in drilling and polishing the bonding down to a smooth finish al the while checking my bite. She even asked how I liked the work and if there was any part of the shaping I wanted changed. Wonderful first time experience! Thank you for easing my stress and giving me beautiful teeth so I can smile at my clients next week! Hygienist was gentle and explains as she cleaned my teeth. Helpful suggestions to help me keep my teeth healthy. I've been going to Riley Dental for about 20 years after a horrible experience with another dentist. I'm a dental-phobe, but I trust them completely and they've never let me down. On November 8, 2017, and again on April 19, 2018, I visited, for the fourth time, my new dentist, Dr. Shimizu, of the Riley Dental Group in San Fernando, California. He was referred to me by the best Optometrist I've ever had, Dr. Katzaroff, O.D, whose medical office is located at the Northridge Costco. I was hoping my new dentist would be as good and honest as Dr. Katzaroff. I've hit the jackpot! Dr. Mark Shimizu has shown integrity, empathy, and expertise beyond anything I have experienced with past dentists. His Dental Assistant Veronica is the best I have ever had. For example, when she took x-rays of my teeth, and also made molds for my new night guard, I experienced none of the usual pain I've always endured in the past. She sympathetic, empathetic, beautiful, and an expert at what she does. I couldn't ask for better. Dental hygienist, Sandy, is also the best I have ever had. Two of my teeth were still bothering me after my last prophylaxis six months before I visited her November 2017 for my first Prophy. Apparently, all that was needed was to fully remove the plaque. Since Sandy's Prophy, these teeth no longer irritate me nor give me pain! On top of that, she gave me much important information I needed to help protect and preserve my now 71-year-old teeth. You can't beat that! Check out this wonderful dentist and staff located in the beautiful building of the Riley Dental Group if you are looking for a great dentist and staff you can depend on to give you the best dental care combined with integrity and honesty. Dr. Shimizu has been my dentist for over 30 years. He has always been friendly, thorough, professional, and accommodating. I love that he explains everything in easy to understand terms. It is no wonder that he has been my dentist since I was a young child! All of the dental hygienists are also wonderful. I simply can't give enough praise to Riley Dental Group! Feels like a Cheers where everyone knows your name. Most welcoming office we have ever been at. We moved to Ontario but we won't change our dental office.